No matter what you call it — beggar’s tick, Spanish needle, monkey’s lice — Bidens alba is likely the most underappreciated of all Florida’s native wildflower. It is often considered a weed because it reproduces so prolifically, but it is a wonderful native wildflower for attracting pollinators. It is the larval host plant for the Dainty sulphur butterfly and a favorite nectar source for a myriad of butterflies including. 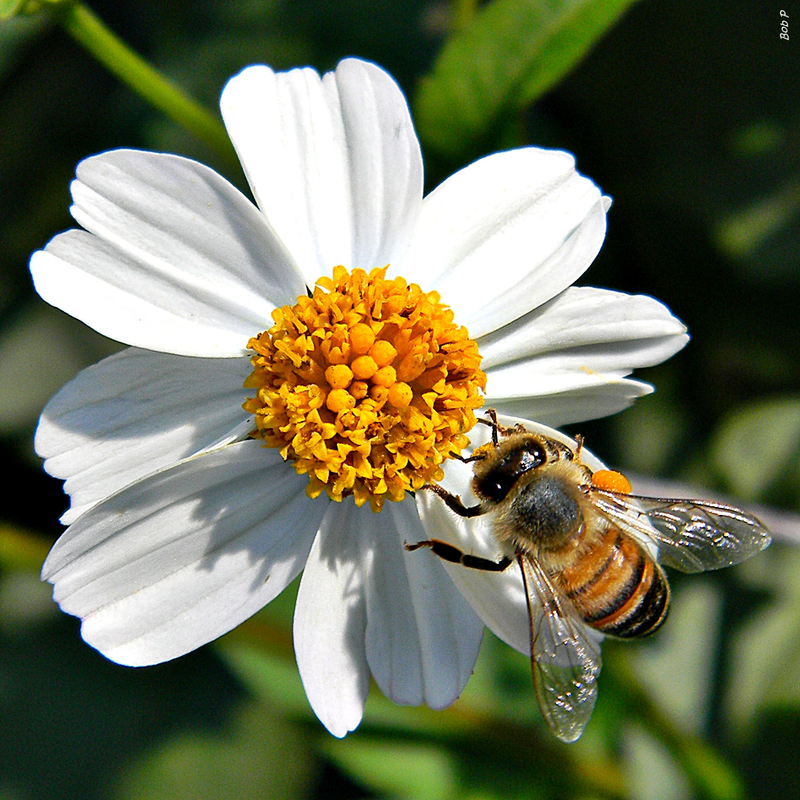 In Florida, it is the third most common source of nectar for honey production. Its young leaves and flowers are edible. Beggar’s tick blooms are comprised of five* white ray florets surrounding many yellow tubular disk florets. Leaves begin simple and oppositely arranged. As they mature, they become compound with lobed leaflets that have hairy undersides and toothed margins. Seeds have two barb-like bristles on the end that stick to clothing, hair and animal fur. The name Bidens comes from the Latin words bis, meaning “two,” and dens, meaning “tooth.” Alba refers to the white ray florets. *Flowers typically have five ray florets, but have as many as seven or eight. To see where natural populations of beggar’s tick have been vouchered, visit www.florida.plantatlas.usf.edu. Garden tips: A single plant can produce 3,000-6,000 seeds that are dispersed by wind and water, but most often become attached to fur or clothing. If you don’t want them to take over your garden, you must be persistent in pulling the plants before they go to seed.